More than a decade after the last native bighorns left the Santa Catalina Mountains north of Tucson, AZ, scientists are reintroducing the species to the Pusch Ridge Wilderness Area with an eye toward establishing a population of 100 within the next three years. 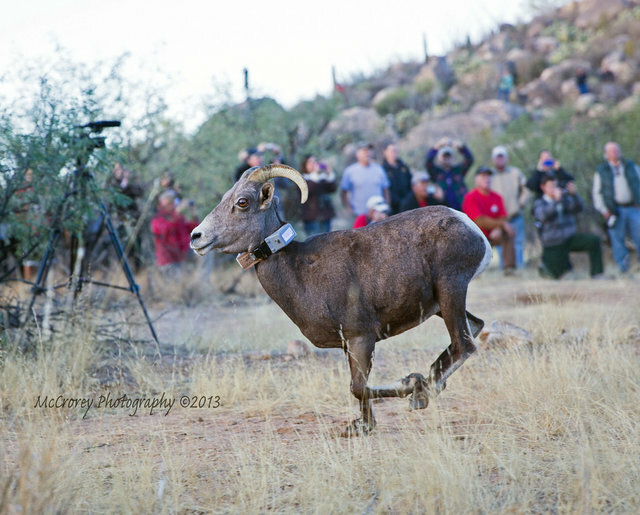 The first group of sheep, numbering just over 30, was helicoptered in from Yuma by the Arizona Game and Fish Department on Nov. 18 with the endorsement of the Wilderness Society and other groups. Another 30 sheep are expected to be moved to the area in 2014, and all will be tracked closely so that state officials can monitor their progress.